Picture-perfect conditions make ski season 2018 one of the best ever. I only recently learned to ski and confess that, in comparison to sporting a beach towel and sunglasses, the prospect of lugging heavy skis, boots, jackets, and bags of other equipment up a mountain in freezing temperatures never really appealed to me. 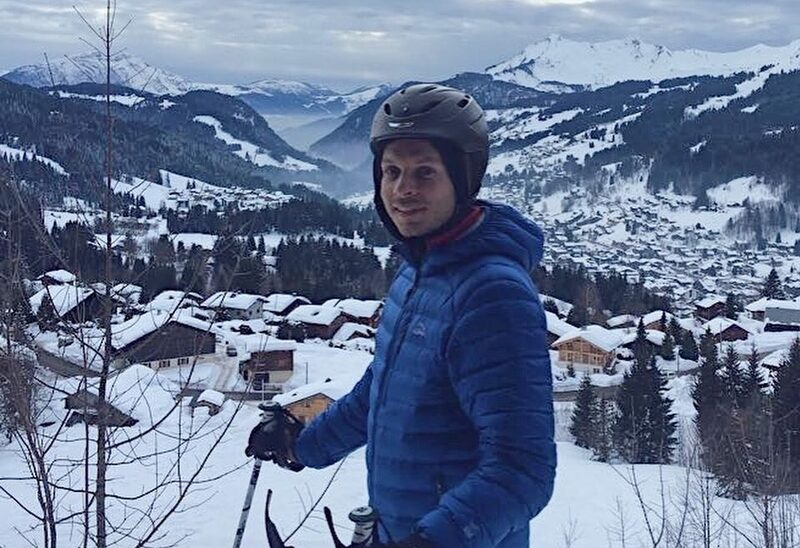 Nevertheless, when living in Switzerland surrounded by world class ski resorts and luxury accommodations, hitting the slopes is what one does in order to maintain any semblance of a social life between January and April. Since early December the snow has been falling hard and fast in the Alps and cold temperatures above 3600 feet have kept it light and airy – just what true ski connoisseurs seek, or so I am told. So, as ski season reaches its apex and an assortment of new luxury properties open their doors, there has never been a better time for powder-junkies to consider a visit to the region. On a recent weekend, I experienced the season’s picture-perfect conditions first hand. 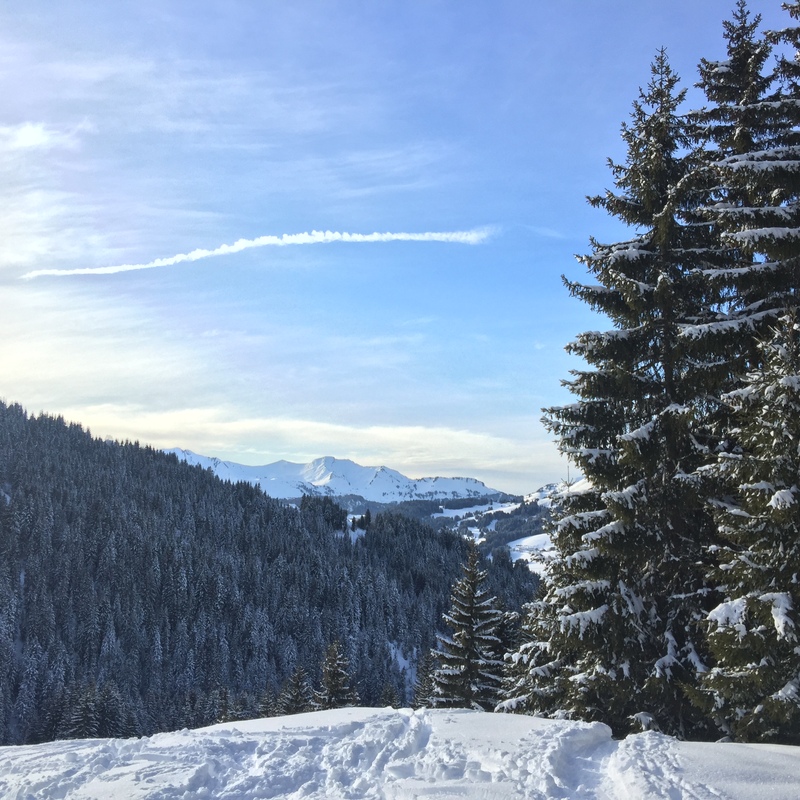 Along with friends, I was staying in the Portes du Soleil, a wide reserve of 12 ski resorts spanning two countries between Lake Geneva and Mont Blanc and, immediately, I was impressed by both the quality and quantity of snow as I hit the slopes with relish. En route to the first run of the day, my fingers tingled from the cold as I sat in contemplative silence on the lift worrying if I my choice of layers would prove sufficient. “Should have worn thicker gloves,” I anxiously whispered under my breadth. My attire anxiety was, however, quelled by listening to the sounds around me: the tension in the thick cable squeaking above my head, the contrail of ice crystals as metal skis cut into frozen snow below. Then, as I gained altitude, the mountains opened around me – white peaks, evergreen trees and granite colored rock appeared. Finally pushing off my lift chair and letting gravity take control, I snapped out of my torpor. I became oblivious to anyone around me, completely intoxicated by the freshness of the snow, the crisp air rushing through my nose and the feeling of total freedom at a brisk 25 miles per hour. For your own ski season getaway this season, Geneva is a perfect gateway to both the Swiss and French sides of the Alps. With direct flights from Newark Liberty and Washington Dulles on United and from JFK on Swiss, it is also surprisingly easy to reach. While those mountain-bound can reserve shuttle transfers direct from the airport to a variety of ski stations, savvy travelers take a moment to catch their breath and enjoy this often underrated city. 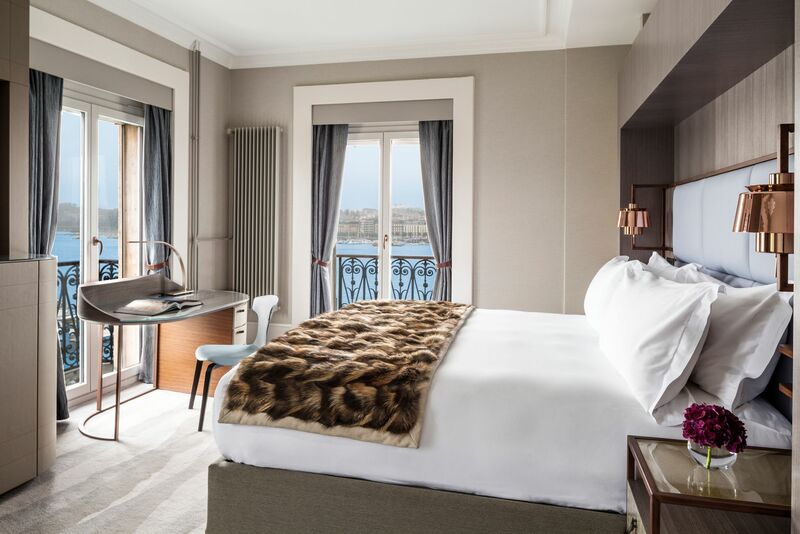 The newly opened Ritz-Carlton Hotel de la Paix is an ideal spot for international travelers to recover from jet lag before hitting the slopes.  After a multi-million-dollar renovation and the addition of some signature Ritz-Carlton touches, the 152-year old property has quickly asserted itself as one of the hottest additions to the lakefront hotel scene. It’s also within easy walking distance of premier shopping along the Rue du Marché and smart cafés in the medieval Old Town. Experience Swiss luxury rail travel en route to your ski getaway by picking up the GoldenPass train in Montreux. 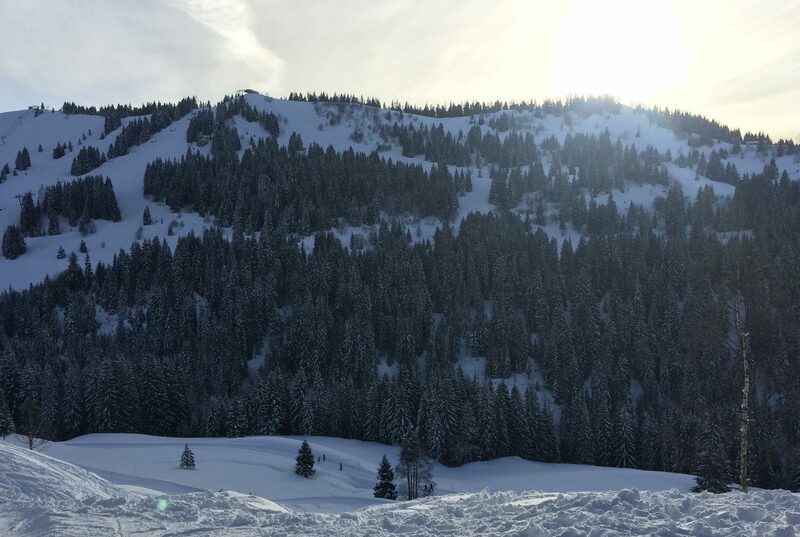 From Geneva, stylish skiers can opt for a short 2-hour train ride to the glamourous ski retreat of Gstaad. 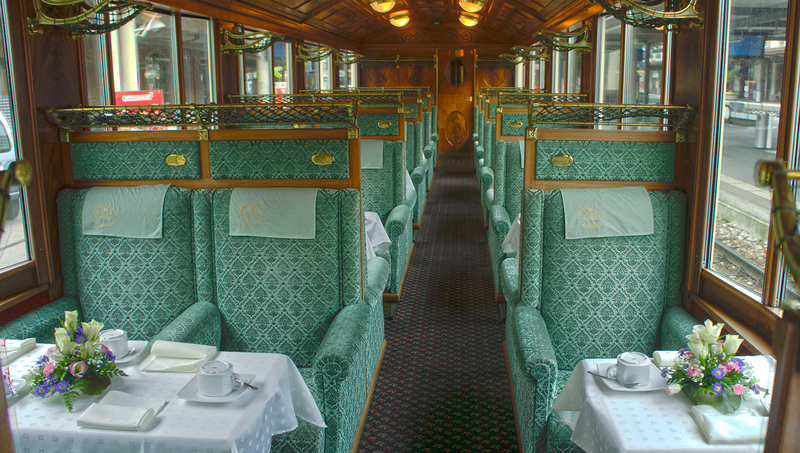 Relive the glory days of Swiss luxury rail travel along the way by picking up the GoldenPass train in Montreux and ride in a fully recreated classic car from the Belle Époque to the brand new, 5-star Huus Hotel. 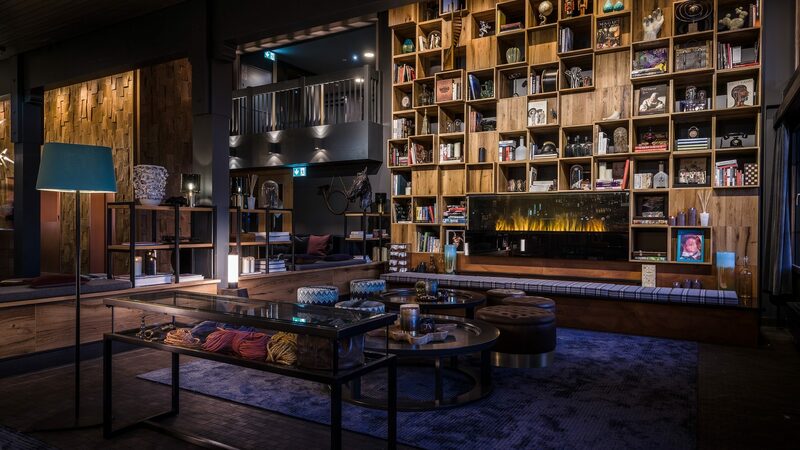 Putting a modern touch on classically alpine interiors, the hotel reinvents chalet-style decor. And with nearly 22,000 square feet of spa, indoor pool and fitness facilities, is there any better way to recover from a long day on the pistes? The stunning new Huus Hotel. Though not accessible by train, a short drive of just over an hour from Geneva opens a wonder of other skiing possibilities on the French side of the Alps. One of the most widely anticipated new properties in this region is the 55-room (including 14 sumptuous suites) Four Seasons Megève. 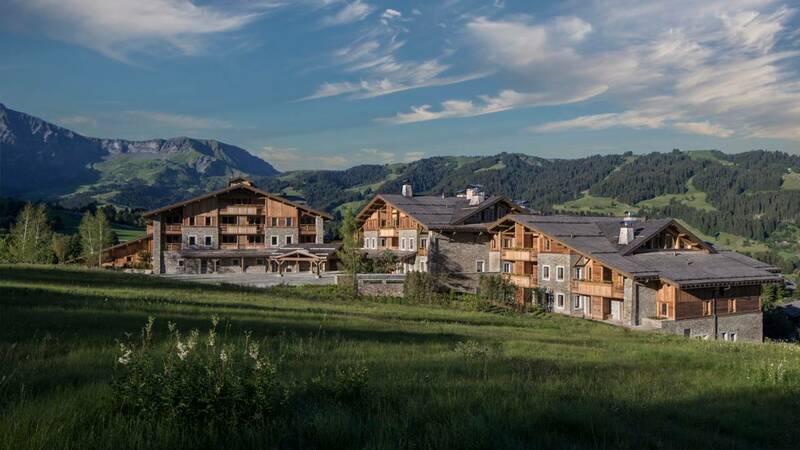 As the only hotel located directly on the slopes of Mont d’Arbois the Four Seasons particularly spoils jetset skiers and snowboarders by offering ski-in, ski-out opportunities. The Four Seasons Megeve, a jetset paradise. And for those who may be more into the après-ski than the ski itself, the Four Seasons is also the new home of one of the finest 2-star Michelin restaurants in the region, Le 1920. On my most recent visit to the restaurant, succulent Brittany lobster cooked in lightly salted butter and slow-cooked pork with black truffle were some of the standout dishes that would send me down a double-black diamond in a heartbeat. 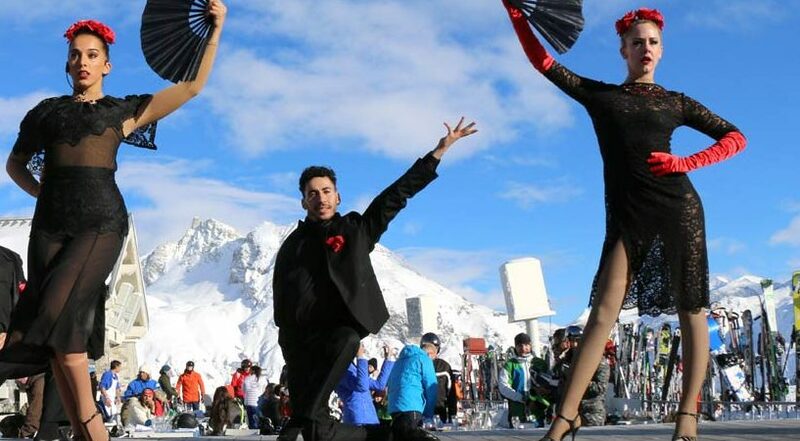 For those looking for some heart-thumbing club beats and choreographed dance routines, the epic après-ski parties of La Folie Douce on the top of Mont Joux in Megève will make you lightheaded in the thin mountain air. Just don’t forget after your fourth or fifth cognac-spiked apple cider that you still have to actually descend the mountain. Back in the Portes du Soleil, as the last rays of February sun pierced through the chilly sky at the end of a successful ski weekend (any weekend with no broken limbs is a successful weekend on the slopes in my book), I no longer felt neither a chill in my body nor trepidation in my mind. To my surprise, I was actually keen for more. “Where to next weekend?” I asked my travel companions. Gstaad? Megève? Verbier? Zermatt? The Alps are calling and we are all spoiled for choice this season. There has never been a better time for powder-junkies to consider a visit to the Alps.